Below you can view all the homes for sale in the Towne Lake Hills East subdivision located in Woodstock Georgia. Listings in Towne Lake Hills East are updated daily from data we receive from the Atlanta multiple listing service. To learn more about any of these homes or to receive custom notifications when a new property is listed for sale in Towne Lake Hills East, give us a call at 404-998-4112. 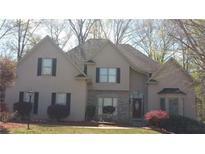 Great Neighborhood Located Near Amenities, Shopping, & Top Cherokee Schools. MLS#6534059. Virtual Properties Realty.Com. Guest Suite With Private Bath Up! Full Finished Basement W/Full Bath! MLS#6532530. Keller Williams Realty Partners. Recent Interior Paint * Hardwood Floors First Floor * Two Story Family Room Ceiling * Full Finished Basement With Bath * Fenced Rear Yard * Patio With Fire Pit * Screened Porch And Wood Deck * Nice Clean Home In Move In Condition! MLS#6532681. Solid Source Realty Ga, Llc..
Community Has Great Golf Course, Pools, Playgrounds, Tennis Courts. Top Cherokee Schools! MLS#6529221. Atlanta Communities. Full Finished Basement W/2 Bedrooms, Rec Space, & Partial Kitchen! MLS#6525697. Mark Spain Real Estate. Photos Are Of Chandler Plan But A Different Finished Home. MLS#6525471. All Around Realty, Llc..
Large Deck Overlooks Private, Wooded Backyard. MLS#6525166. Keller Williams Realty Partners. Entire Driveway & Walk Way Replaced 2019. MLS#6522817. Drake Realty Of Ga, Inc..
Full Finished Basement W/ Media Room, Pool Table, Full Bath And Tons Of Storage, Rear Screened Porch Overlooks Golf Course. Swim/Tennis/Golf Community. MLS#6520873. Atlanta Communities. Amenities Include Swim, Tennis, Golf, & A Clubhouse In The Sought-After Towne Lake Hills East! MLS#6513389. Realty One Group Edge. Easy Access To Interstate And Woodstock Downtown. Move-In Ready! MLS#6509650. Realty One Group Edge. Call Today For Your Private Showing! MLS#6505873. Mark Spain Real Estate. Move Into A Gated Community With Fitness Center, Pool, Low Maintenance Living And Professional Lawn Care. MLS#6127090. Weekley Homes Realty. Move Into A Gated Community With Fitness Center, Pool, Low Maintenance Living And Professional Lawn Care. Move-In Ready By March. MLS#6120064. Weekley Homes Realty. Stock Photos Used Since Home Is Under Construction-Options Shown May Be Different Than What Is Actually Installed In This Home. MLS#8503163. Beazer Realty Corp.. Billiard Room With Stone Fireplace, Wet Bar & A Private Deck Overlooking The Gunite Pool & Spa Lined With Porcelain Tile. MLS#6105448. Berkshire Hathaway Homeservices Georgia Properties. Please Come See Our Fully Decorated Model Home As It Is The Same Plan! MLS#8472694. Beazer Realty Corp..
David Weekley 55+, Gated Clubhouse Community With Pool, Patio, And Fitness! MLS#6077771. Weekley Homes Realty. David Weekley 55+, Gated, Clubhouse Community With Pool, Patio, And Fitness! MLS#6077801. Weekley Homes Realty. David Weekley 55+, Gated Clubhouse Community With Pool, Fitness Center And Gardens. MLS#6047391. Weekley Homes Realty. Stock Photos Used Since Home Is Under Construction, So Colors And Options Shown May Not Be What Is Actually Installed In This Home. Same Plan As Model Home! MLS#6030610. Beazer Realty Corp..